I was really excited back in the day when I discovered that Sharpie made a metallic silver marker. You could draw on yourself and look like a cyborg! Or you could draw on your binder covers so they look like futuristic computers! Of course, I knew absolutely nothing about circuitry, but now that I know a little more, a notebook cover doodle might well be able to become something real--with the help of a silver-dispensing conductive ink pen designed by a team from the University of Illinois. 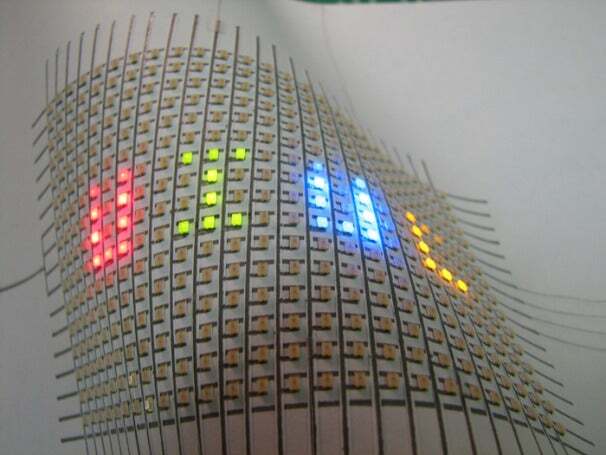 Conductive printer ink has been used since 2007 to speed up circuit board production--however, devoting a whole inkjet printer and upkeep to circuitry could easily get quite expensive. In comparison, a hand-held pen saves on both money and space. The “ink”, in this case a solution of silver, dries to leave behind paper-mounted wires that can bend and fold without any additional programming. The team plans to experiment with inks carrying different conductive materials, in hopes of expanding the available palette--of both colors and properties, I imagine. My main question is, will it work on my arm?